IN THE VERY flattering and penetrating critical study that M. Couturat has devoted to my Essay on the Foundations of Geometry, he quite correctly points out that the reasons given by me for considering Euclid’s axioms empirical cannot be deemed sufficient. Since he very courteously asks me to respond to his arguments, since these arguments seem to me very strong, and as the subject is incontestably important, I am happy to take the opportunity of defending, as far as seems to me possible, the position taken in my book. I am very far, however, from feeling assured that the position is sound; it still appears to me, on the majority of points, more probable than any other, but I am aware of too many difficulties in the subject to affirm any solution dogmatically, and, on some important points, I have to admit the correctness of my critic’s objections. M. Couturat’s study raises many interesting questions, but I shall limit myself to the most important, the question of determining whether Euclid’s axioms are empirical. I propose to divide my argument into three parts. In the first, I shall discuss in detail the criticisms contained in the study in question, to the extent that they bear on the present problem. In the second, I shall offer some brief, general observations on the a priori, and in particular on a priori intuitions. Finally in the third I shall discuss the positive reasons I have for holding certain of Euclid’s axioms to be empirical. The first point raised (p. 370) is perhaps the most important: Are Euclid’s axioms capable of being verified or refuted empirically? In order to discuss this question, we must first of all reject completely the theory of M. Poincare, according to which these axioms are pure conventions like the metric system, and consequently are not capable of being true or false, verified or refuted. I have discussed this conception at length in my Essay (§33ff. ), vis-à-vis Cayley’s theory of distance, a theory on which it seems to depend. I shall suppose therefore, in what follows, that the Euclidean axioms are either true or false. The question is then of determining the nature of the reasons which we have for accepting them. Now in all discussions relating to empirical proofs, there are two radically different questions to consider. The first, which is purely philosophical, is expressed, in the case which concerns us, as follows: Is there an experiment, possible or imaginable, by which some limit can be assigned to the magnitude1 of the space-constant? Is it possible to determine empirically, however roughly, the nature of our space? The second question, which is purely scientific, and which assumes an affirmative response to the first, is this: What are the best experiments for, and what is the most precise method of, determining the magnitude of our space-constant? These two questions are likely to be conflated, but it is very important to distinguish them. Since the second is in no way a philosophical question, I shall confine myself to discussing the first. To decide the first question, that of determining whether or not it is impossible, from an empirical point of view, to assign some limit to the space-constant, it has been suggested2 to me that the most suitable experiment is one which does not lay claim to great exactness, but purely and simply shows some limit, however vague it may be, and that the following experiment is one meeting these conditions. Take a disk of ordinary size – say a coin – with a point marked on its side. Make it turn a complete revolution along a straight line and then measure the length of its circumference. In this way we can determine the ratio of a circle’s circumference to its diameter, from which the value of the space-constant can be deduced. It should be noted that this experiment depends, theoretically, only on the measurement of distances, a possibility which, independently of the Euclidean axioms, is granted by M. Couturat (p. 372). By measurement alone we can decide whether a given figure is a circle, and by measurement alone we can discover the ratio of its circumference to its diameter. The possibility of determining straight lines is involved, it is true, but this possibility is itself a precondition of measurement. Moreover, in a case such as the present one, where it is only a question of short distances, we are not reduced to a purely optical means for deciding the straightness of a line. Since an approximate accuracy suffices philosophically, I cannot see that any difficulty is created by this requirement. That the experiment cannot be performed with great exactitude, and is not one which a scrupulous man of science would carry out in a laboratory, is fully admitted. This makes it still more apt for illustrating this purely philosophical idea, that an empirical proof is possible with regard to the space-constant. If the ratio of the circumference to the diameter resulting from the experiment lay as near to it as observational errors would lead us to expect, this would show that the space-constant is considerably greater than the diameter of our disk. This experiment therefore suffices to show that, with a priori axioms alone, we can obtain some empirical proof concerning the nature of our space. We get the same result by starting with the simple fact that we can construct triangles which are not very small. That we should ever be capable of determining, with certainty, that our space is Euclidean, must, on the contrary, be regarded as utterly impossible. For Euclidean space is a limiting case, to which, for measurable distances, other kinds of space can approximate indefinitely. We may be able to prove that space is not Euclidean, but we can never hope to prove that it is strictly Euclidean, just as we cannot rigorously prove the law of gravitation. It is in this domain of approximations and pure science that proofs based upon the entire body of physical science have their place. There is no vicious circle in using such a procedure, but only the ordinary form of inductive reasoning. We see that a series of hypotheses consistent among themselves leads to the observed results, and although we cannot prove that no other set of hypotheses would do as well, we accept this coherent system of hypotheses, for the moment, as sufficient for explanation. But I am aware that here I contradict a passage in my book (§§71-3), cited by my critic (p. 371), in which I proclaim the absurdity of grounding Geometry in Physics. What I ought to have said is that the possibility of Geometry cannot depend upon Physics. It must be possible to measure spatial quantities, before Physics becomes possible. To go further than this is, I believe, an error. Once it has become possible to measure spatial quantities, we can verify the laws of Physics as they apply to the surface of the earth. If measurements at the earth’s surface are compatible with a null space-constant, and if the supposition of a null space-constant permits us to extend terrestrial laws of motion to celestial bodies, this supposition will be justified by its simplicity. It might have been the case, however, that the law of gravitation, for example, could be applied to celestial bodies only if their distances were calculated in accordance with the hypothesis of a finite space-constant. In such a case, simplicity would require this supposition, and I cannot see what logical error there might be in this way of proceeding. Even as it is, other laws of Physics could perhaps be found which would be compatible with large finite values of the space-constant; but, as they would be more complicated than the present laws, they are rightly rejected by science, although they remain philosophically possible. We are assured, for reasons of an empirical nature, that our space is approximately Euclidean: that it is strictly Euclidean is something we do not know and shall never know. I come now to the principal argument in favour of the a priori character of Euclidean space, namely the argument which derives from the impossibility of an absolute magnitude. For this discussion, it will suit me better to adopt Delboeuf’s terminology than to insist upon my own. I shall therefore designate by homogeneity the possibility of changing all the linear dimensions of a figure in a given ratio without altering the angles, and by homogeneity the possibility of constructing figures congruent in every respect in different pans of space. The question is: Can it be demonstrated that homogeneity is an a priori property of space? On this point, a strong argument in my favour is derived, I believe, from the absolute magnitude of angles. Those who affirm it to be evident a priori that the sides of a triangle can be lengthened in a given ratio without altering the angles, ought to hold, it seems to me, that it is equally possible to alter all the angles in a given ratio without altering the sides. But that, we know, is impossible in all Geometries. If the logically relative nature of all magnitude is admitted, I cannot see why the argument would apply only to linear dimensions, and not to angles, which are equally magnitudes. We have an angular space-constant in every space, namely the four right angles.3 In truth, the objection is stronger against angles than against lines: for in lengthening all the lines of the Universe in a given ratio, no change is produced even where we have what is called an absolute magnitude; but angles are tied absolutely to their magnitude, and cannot be conceived as all expanded in a given ratio. We cannot therefore infer, from the fact that magnitude is relative, the impossibility of a space-constant. The relativity of magnitude, as I understand it, means simply this: That the true judgment of quantity is not: “this has such and such magnitude”, but “this is equal to, or greater than, or less than that”. Magnitude4 is thus an assumed intrinsic property, common to a collection of equal quantities. But there is nothing in such a form of relativity which prevents us from having a class of quantities which are equal to each other, but greater than all unequal quantities of the same kind. Doubtless this implies some inherent property in virtue of which these maximum quantities differ from other quantities of the same kind, and this supposition can lead finally to a conflict with the judgment from quantitative comparison; but if, conversely, we construct differences of quantity of pure relations between two conceptually indiscernible terms, we have what I call the contradiction of relativity, namely a definite measurable difference between two terms which intrinsically are nevertheless exactly alike.5 We are therefore between the horns of a dilemma, and the Euclidean alternative appears just as contradictory as the non-Euclidean one. Passing to more detailed considerations, it seems to me that there is a difference, as to the difficulties about what is called absolute magnitude, between spaces which have a finite volume and those which do not; and likewise between linear magnitude on the one hand, and areas and volumes on the other. In cases where we do not have a finite space, all we can say is that we have a natural unit, given by special properties, to which all the other magnitudes are related. I had said, as M. Couturat points out, that the space-constant itself cannot be said to have a particular magnitude. This claim ought to be modified. What I wanted to insist upon, was that, with respect to other spaces of the same kind, the space-constant has no particular magnitude. For magnitude is inferred from equality and inequality, which require comparison. But two spaces cannot coexist in the same world. Consequently their space-constants cannot be compared. Moreover, since the measurement of particular quantities in a non-Euclidean space consists in comparing them with the space-constant, since there is no difference between different spaces of the same kind regarding figures which they permit, since the figures of two spaces are similar in all respects if they have the same relations to the respective space-constants, and since these relations are what gives measurement, it follows that there is no difference between different spaces of the same kind, and that there is only one possible non-Euclidean space of each kind, exactly as there is only one Euclidean space. We can therefore neither speak of greater and lesser space-constants, nor consider them as constituting a class of quantities, each of the quantities of this class belonging to a certain particular space. In this sense the space-constant is not a magnitude. But the space-constant is a particular length among the lengths of its space. With respect to the quantities contained in a space, the space-constant is a magnitude; it is therefore possible to ask what its relation is to the diameter of the terrestrial orbit, if we suppose our space non-Euclidean.6 But every judgment by which we express its magnitude is just as relative as the Euclidean judgments of magnitude; we can only give the relation of the space-constant to other magnitudes, and this is all that a purely logical analysis of the nature of quantity can require. Doubtless the existence of such a standard of comparison seems to give to space a property which is not purely relative; but the same difficulty is involved in the absolute magnitude of angles, and the contrary supposition, involving in fact an infinite regression and the contradiction of relativity, seems open to objections at least as strong. Concerning the finite character of space, new objections appear possible. But, even here, there is no valid objection regarding linear magnitudes. A linear quantity, we can say in general, measures the difference between two positions in a series. Now, if we adopt the axiom according to which, in a series, if A is before B, and B before C, then A is before C, we can rule out spherical and elliptical space. But this axiom is contradicted, in Euclidean space, by every closed curve. And relativity of position does not require it. For relativity of position affirms that positions can be defined only by their differences. That involves the contradiction of relativity, and shows that we must have either an infinite regression or a vicious circle; but it does not enable us to know which alternative must be chosen. I cannot therefore believe that the extension of a familiar property of angles to linear quantities can be taken as contradicting any necessary relativity. But, when we consider volumes, the objection to the finite character of space seems stronger. For volumes are not simply quantities in space, but quantities of space. A maximum volume gives therefore the whole of space, and this is what seems to involve an intolerable realism. From the point of view of projective Geometry, where we consider order exclusively, there is no reason to object to such a space, which fully preserves relativity of position; a purely projective treatment of space could not therefore exclude finite spaces, since it would indeed be incapable of treating volumes. Space, from a strictly projective point of view, is the property common to all of the relations between four points not belonging to the same plane: it is not an existent, but a property, like the projective line and the projective plane. And if this conception were the only valid one, if in fact spatial order were the only thing to consider – as I maintained in my book – the idea of volume, conceived as a quantity of space, could never be formed, and to the objection we are considering one could oppose the previous question. Yet it seems that we should consider space also as being a thing, or at least as admitting the relation of whole and part, except that we should, when we do so, end in contradictory results. If this conception is right, we would in fact preserve the antinomy which maintains that at one and the same time there is, and there is not, a totality of space. It is exactly this which gives rise to the mathematical infinite: to say that the volume of space is infinite, is to affirm at the same time that there is, and there is not, a whole of space. The condemnation of the hypothesis of a finite volume would thus seem to be-to put the matter in a paradoxical form-that this hypothesis is not contradictory, that it accepts one side of the antinomy, and excludes the other by a device at once too economical and too facile. If we can show, a priori, that space has to be substantialized, and that the consequences of this substantialization have to be contradictory, then any theory which renders these consequences non-contradictory is condemned. If such a position can be defended, as the need for metrical conceptions (even those in the definition of a point) would seem to suggest, then, I admit, spaces which have a positive space-constant should be abandoned. But it is evident that the discussion would lead us to the very root of the philosophy of space, and I must leave this possibility behind in the form of a simple suggestion, to which I am not disposed to attach much weight. I repeat, however, that the above objection is not drawn from the relative nature of magnitude, but from the peculiarities of space. I come now to a very awkward question, namely the exception that spherical Geometry7 permits to the axiom of the straight line. I am well aware that my position on this point was not satisfactory, and I have always felt that it is intolerable to admit exceptions to an a priori axiom. But I had not the courage to condemn spherical Geometry, and I found no other way out of the difficulty. The knot can be cut by affirming that the distinction between spherical geometry and elliptical geometry is a mistake, and that antipodal points coincide necessarily. I doubt that the analytical reasons suffice to show a geometrical difference, and that the difference between the two spaces cannot be reduced to a difference of notation. Even if that were not possible, we could condemn spherical space by relying upon the axiom of the straight line, and retain only one space of elliptical space-constant, just as we have only one space of hyperbolic space-constant. But I believe that something can be said in favour of the position I took in my book. What is absolutely it priori, we can say, is the necessity of a unique relation between any two points. This necessity is respected in spherical space, where every pair of points has a unique distance, at least if the shortest of the two arcs connecting them is defined as being the distance. From this it follows that measurement is possible, and we find here that the only requirement, in general, is that two points determine a unique line. The possibility of measurement is not eliminated if, corresponding to each point on a plane, there exists in this plane one and only one point which does not determine, with the given point, a unique line. The case is found on the surface of a sphere, where each pair of points determines a unique distance on a great circle, and where distances can be determined without being referred to any space exterior to this surface. But this would involve a modification of what I have said concerning the corresponding projective relation between two points. What follows constitutes, it seems to me, the necessary modification. What we ought to say is that the relation between two points is always the distance between them. Thus it is a particular unique existent admitting of quantity and quality. In general, the argument relating to the possibility of measurement establishes that there has to be a series of possible distances, identical in quality, but permitting among them material diversity and possible differences of magnitude. All the qualitatively identical distances lie on the same straight line. Except where there is a totality of space, such distances can be distinguished from one another only by magnitude or position, two properties which seem entirely relative. The straight line is therefore, from the projective point of view, an abstraction, an adjective, a quality. That projectively it must be an abstraction results from the fact that two pairs of points can determine the same straight line, whereas the relation between two points must be numerically different from the relation which holds between two other points. The projective straight line is therefore a quality common to a certain series of relations between pairs of points. But this argument rests on the fact that a unique distance presupposes in general a straight line determined by these two points. But where there is a totality of space, I have shown (Essay, §§I68-71) that there may still be cases in which a straight line is not determined by two points. The entire difficulty thus arises from the fact that in spherical geometry there is a totality of space. What is absolutely a priori is the axiom: Two points always admit of a unique relation, completely determined, both in its nature and its material identity, by the two points of which it is the relation. But if we admit the possibility of a finite whole of space, this unique relation does not always imply that a straight line is determined by the two points, and consequently the axiom of the straight line is not absolutely a priori.8 Since, however, we have already encountered some possible objections to the whole of space being finite, we should be able, if these objections are sound, to keep the axiom of the straight line, and to reject spherical and elliptical space. Which alternative ought to be chosen depends upon more detailed examination of the objections in question than is possible here. There remains the axiom of three dimensions, and on this point, I believe, the criticisms of M. Couturat permit a response. He admits that we cannot give a rational explanation of the fact that the number of dimensions is three (p. 377), but endeavours to establish that this axiom is “an a priori necessary truth, at least for us human beings, in so far as we are sensible” (p. 378). Now it is perhaps admissible that, on strictly Kantian grounds, an a priori of this sort is possible. But I shall note that, in virtue of the very distinction between the a priori and the subjective, on which my critic and I are agreed, no a priori truth can have any relation to our own sensibility, but everything must be entirely independent of our way of knowing. In a word, truth is not true because we know it, but if we know it, this is because it is true. That brings me, moreover, to my second part, in which I wish to say a few words about the meaning and the processes of verifying the a priori. My comments on the criteria of the a priori will have to be brief, as they are presented only because of their application to our problem. But I am obliged to give the question some discussion by the fact that my critic does not hold the point of view which seems to me the most correct. The gradual separation of Philosophy from Psychology can be followed across the whole gamut of modern philosophers, and is, in reality, one of the cardinal problems for any reflective philosophical thinker. But I doubt that all those who insist on this distinction have a precise idea of all its implications. We must disregard entirely the empirical fact of our knowledge and consider only what is true. Concerning the a priori, we have to ask ourselves what is necessary. There is, in general, no proof of the true, and no proof of the necessary. The two ideas are ultimate and unanalyzable. Our knowledge cannot furnish proof, because, in order that a proposition be known, it is necessary first of all that it be true: an erroneous opinion is not knowledge. Similarly, concerning the necessary: we must perceive necessity if we want to know it, but our perception is not its ground. On the contrary, it is an ultimate fact that a proposition is necessary, and our perception, if it is correct, results from the fact, and not conversely, The fact that we exist and know is therefore, in all studies concerning the a priori, completely irrelevant. Assuredly we could not do research if we did not exist, but the truth of our conclusions cannot depend upon the question of knowing whether or not we obtain them. The conditions of our knowledge are thus a priori only when they are also conditions of truth. Our psychical nature, except to the extent that it is bound by the a priori laws governing everything that exists, seems to be entirely empirical; this is a given fact, not a necessary truth. For the necessary there does not exist, as far as I can determine, a universal criterion. We perceive that a proposition is necessary, as we perceive that the sky is blue, and our perception is in no way the ground of the fact, although in both cases it is essential to our knowledge. But in certain cases there are subordinate proofs of necessity. For example, if one proposition is the consequence or the necessary condition of another proposition or series of propositions which are necessary, it is itself also necessary.9 I should propose to place in this category the necessity of an a priori intuition. Certain mathematical propositions, for instance that, if A = B, then B = A, or that A > B, then B < A, or the axioms concerning order, seem to be necessary and synthetic. The collection of all propositions of this kind, and the proof that they are synthetic, obviously cannot be given here. But the point on which I wish to insist is that all these judgments depend upon a diversity of logical subjects: they are not restricted to affirming a necessary connection of the contents; they affirm that, if A has an adjective, B must have another, or other more complicated assertions of the same type. In brief, they all depend upon relations which imply material diversity, i.e. a plurality of existent beings. If, then, these judgments are truly necessary, the possibility of several beings is also necessary; and this condition seems satisfied, in our present real world, by space and time. But we cannot say for this reason that space and time are a priori; we can only declare that some form of externality, sufficient for the a priori judgments of Mathematics, is a priori. It will be seen, however, that such a method reverses the most common way of proceeding. We begin with the necessity of certain fundamental propositions, which can be called axioms. For this necessity we do not provide more positive proof than for the blue colour of the sky. We can, it is true, provide a strong contingent of negative proofs, by showing the impossibility of the suggested experimental proofs. We can show that some proposition is presupposed in the set of procedures used by science, and that the methods by which an experimental proof is obtained would be impossible without this proposition. We can do much along this line to eradicate the belief that our proposition is empirically proved. But if we are to continue believing in our proposition, and, still more, if we are to believe in its necessity, we are obliged, in the last resort, to excuse ourselves from every attempt to prove it. This apparently arbitrary property characterizes, I believe, the necessity of mathematical axioms. But by accepting this necessity on faith, we come to assert the necessity of something analogous to space and to time – the necessary degree of analogy being a subject which requires a detailed argument. It is evident that this method concedes much to what seems to be caprice, and one can consider it capricious as well to refuse necessity to some of the axioms of Euclid. But, the more we go into detail, the more we link together the various propositions whose necessity we admit, the smaller becomes the domain of apparent caprice. And it is evident that we cannot always prove necessity; for necessity can be proved only by reference to a consequence of that which is necessary, and this itself presupposes the unproved necessity of logical consequence, so that in the end necessity must be purely and simply perceived. I do not therefore see how we can keep from affirming necessity in certain cases purely and simply, and from believing that others will perceive it when we perceive it, just as others perceive the blue colour of the sky. Consequently the proof, for us, that a proposition is not necessary must be somewhat vague. At bottom, this proof can only be: (1) that this proposition does not appear necessary; (2) that it is not a consequence or a condition of some proposition whose necessity we admit. This proof is entirely negative, and can never, as far as I can see, give us certainty. For (1) our perception that a proposition is not necessary may be erroneous; (2) there can be an undiscovered connection with some other necessary proposition. I wish that more satisfactory proofs could be found; but I do not know where to find them. By applying the previous remarks to Geometry, one sees clearly why I did not give, in my book, positive proof of the empirical character of Euclid’s axioms. Of the necessary character of the other axioms it was possible to give proofs, for they appeared to be logically connected to other truths whose necessity we admit. But as for the axioms that I consider to be empirical, I have relied upon the two negative proofs mentioned above. How these proofs are applied, we shall now attempt to discuss . 1) The specifically Euclidean axioms do not appear necessary. I no longer affirm this dogmatically with respect to the axiom that space does not have a definite volume. For three dimensions and the axiom of parallels, there is not merely the purely psychological fact that to me they do not appear necessary. To this fact one can oppose the fact that to others they do appear necessary, and I have no doubt that, if mankind were asked to vote on the question, I should be in the minority. There is the fact – and here Metageometry is important – that in denying these axioms, we obtain Geometries which do not seem to be impossible. This is also, of course, a psychological fact; but it is less immediate and less brutal than the preceding fact. The reason for affirming the empirical nature of the axioms in question would be that Metageometry is possible, not that it seems to be. But I do not know how this can be proved, once it is admitted – as it must be – that the contrary of a necessary proposition can fail to be contradictory. But to maintain that these axioms are empirical does not imply that they may momentarily become false, nor that the fourth dimension may be discovered in Tibet, or on Mars, or by some new experiment. For, whatever may be the nature of space, we cannot admit that this nature varies with time. The independence of space and time, in fact, cannot be disputed without the grossest absurdities. And we ought not to maintain either, I believe, that a fourth dimension may one day be discovered, although I hold the opinion, which M. Couturat seems to regard as absurd (p. 378), that true propositions about space are true independently of the human mind, and that space, in so far as it is real, has a reality external to ourselves. That Geometry may be only a well-developed branch of Psychology is an opinion I cannot accept, since it seems to involve the very sophism which consists in conflating Philosophy and Psychology. And I cannot see how, with such an opinion, we could escape solipsism. This view does not seem, however, to depend on the philosophy of geometry, and consequently I refused to discuss it in my book. I shall therefore say almost nothing about it here, and shall pass immediately to the axiom of three dimensions. This axiom, I maintain, has no relation to our sensibility, but asserts a proposition which, true or false, concerns the external world. The fact that three dimensions are perceived by us does not prove, except for a disciple of Berkeley, that they exist only in our perceptions. That there are three dimensions seems to me to be the affirmation of a fact relating to the external world, for which we have reasons as good as for any possible affirmation of fact. It rests, I believe, on the same kind of reasons as the affirmation of our own existence, or of the existence of sensible objects. What makes it superior to the latter, and introduces an element of necessity into it, is the proposition that space is necessarily immutable. This is what makes it necessary, if space has three dimensions, that it has always had, and must always have the same number of dimensions. To doubt that space has three dimensions is, of course, legitimate in the final analysis, but only to the degree to which we call into question all the truths of fact and all that is given by the senses. I shall say, therefore, that the axiom of three dimensions and the impossibility of discovering a fourth are not propositions relative to our sensibility, but have all the certainty possible for truths of fact. We must admit that the specifically Euclidean axioms have one of the marks of necessary propositions, namely universality. They do not apply, it is true, to everything that exists, but they apply to everything that exists spatially. This results, however, from the very nature of the problem, and I do not see that we can obtain a valid argument from it. Everything that exists in space, we can say, must, if space is Euclidean, conform to Euclid’s axioms. But the necessity arises here from what is a priori, namely the uniformity of space. It does not follow, however, that the properties themselves all be necessary. (2) The specifically Euclidean axioms are logically independent of all other propositions whose necessity is admitted. Here again, Metageometry is the principal source of knowledge. For Metageometry shows that in any case the specifically Euclidean axioms are logically independent of all other axioms of Geometry. I tried to show, in my chapter on “Philosophical Consequences”, that these axioms are also independent of those general philosophical functions that space and time fulfil. The general possibility of material diversity, as well as that of mathematical concepts, is equally guaranteed by a non-Euclidean space. But one can say – and I believe that such is my critic’s intention – that an a priori intuition is one given a priori, and that, whatever be the other givens which, if they were given, could fulfil the same functions, only the intuition which is a given is a priori. I am inclined to think, however, that there is in this argument a fallacy, closely allied to the one Kant exposed in the ontological argument. The a priori intuition must be conceived as a given: to be a given belongs, in the old phraseology, to the essence of every possible intuition. But it belongs to the essence of possible intuitions just as much as to that of real f intuitions; and the fact of being really given cannot, any more than the fact of really existing, be deduced from the nature of a concept. Here however we must consider a more subtle detail. We presuppose a series of possible intuitions, of which one at least, in order that mathematical concepts be possible, must be real. Now there are certain propositions, involving these concepts, which we admit are necessary. But these propositions, in their usual form, are, from first to last, hypothetical. They are similar to this one: If A > B, then B < A. They do not affirm the existence of quantities or of countable terms. All propositions affirming the existence of countable terms – unless the axiom of dimensions be an exception – are empirical. It seems then that an a priori intuition cannot be inferred to exist from such propositions, but only to be required if the necessary hypothetical propositions must refer to some existent. I wonder if a world in which a sole logical subject existed – a Spinozistic world in short – would not be more in conformity with Logic than a world with a plurality of subjects. In such a world, no mathematical notion except the notion of one would be applicable. But metaphysical notions would apply, and no antinomies would arise. We can thus conclude only that, if mathematical notions are to apply to the world, something analogous to an a priori intuition is necessary. But this a priori seems less absolute than that of the necessary connections between mathematical ideas, for these connections, being hypothetical, remain true, even if no plurality of subjects exists. And yet, here again, we can refine the matter further. We can say that, if the protasis and the apodosis of a hypothetical proposition are, not just factually false, but logically impossible, then the hypothetical proposition is not true. I could cite as an example the judgment: “If 2 were 3, 4 would be 6”, which cannot, strictly, be called true. But, without the possibility of some material diversity, one can say that the hypothetical judgments of Mathematics would become logically impossible; and it is precisely this possibility which is provided by an a priori intuition. Consequently such an intuition, in so far as it results in making material diversity possible, can be considered as strictly it priori; but, to the extent that it does more than make material diversity possible, or rather, to the extent that it possesses properties which do not result from this function, it is not a priori. The a priori remains, then, in a sense, rational; but it is intuitive, in this sense: that all necessary propositions, from which the a priori intuition is inferred, are not susceptible of proof by the principle of contradiction, and that their necessity is intuitively perceived. To sum up, it would seem that the specifically Euclidean axioms are capable of an empirical proof, in the sense in which the ordinary laws of science are capable of it: that is to say, one can show that they constitute the simplest hypothesis for explaining the facts, although one could imagine other facts which would make the hypothesis of a slightly non-Euclidean space simpler. We cannot prove with certainty that our real space is strictly Euclidean, and we should not be able, if it were slightly non-Euclidean, to prove with certainty that it is not Euclidean. But the same uncertainty is inevitable vis-a-vis the law of gravitation, or the Copernican system, or any other scientific law. With respect to absolute magnitude, in the sense in which it is required by non-Euclidean systems, there is nothing which contradicts the relative nature of magnitude; but the possibility of an absolute whole of space, introduced by an elliptical space-constant, can perhaps be condemned, because it is not contradictory: and the result of a substantialization of space should be contradictory. We can evade the exception to the axiom of the straight line by affirming that a space with a positive space-constant must be elliptical, or by saying that the relation between two points must be regarded as a distance, and not as a straight line between them; thus the straight line would be a priori only to the extent that it is the necessary condition of distance. As for three dimensions and the axiom of parallels, they can be called a priori only if an undue psychological element is preserved in the a priori; when the a priori is defined, not with respect to our knowledge, but uniquely with respect to truth and necessity, there remains no reason for considering these axioms a priori. That the proof of their empirical nature is weak and not very conclusive, I readily admit; but the contrary proof seems still to be wanting. 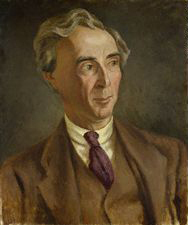 * Bertrand Russell, “Are Euclid’s Axioms Emprical?” Revue de metàphysique et de morale 6 (Nov 1898), 759-76. Trans. Papers 2. (Original title: “Les Axiomes propres à Euclide, sont-ils empiriques?”) This article is a reply to Couturat’s review in the same journal of Russell’s Essay on the Foundations of Geometry. 1 See below in what sense the space-constant can have a magnitude. 2 By Mr. A.N. Whitehead. See his article on “(The Geodesic Geometry of) Surfaces in non-Euclidean Space”, Proceedings of the London Mathematical Society, 10 March 1898 (Vol. 29, pp. 275-324). 4 Thus magnitude is created by comparison, although, of course, the compared terms exist prior to the comparison. They become quantities only in virtue of quantitative comparison: considered in themselves, they do not have quantitative properties. This is the contradiction of relativity. 5 I might observe that this is what I meant by my antinomy of the point, although I did not express myself clearly. This contradiction infects all of Mathematics, and does not involve the Leibnizian identity of indiscernibles. Two positions, for example, are not different in a purely material way: their difference is a certain distance on a certain straight line, and differs from the difference between any other pair of positions. That two terms which do not differ conceptually may have a unique and special difference of this kind, is a contradiction which is not resolved by the Amphiboly of concepts of reflection. 6 To say that our space is approximately Euclidean means that the relation of the space-constant to measurable distances is, if not infinite, in any case very large. 7 But not elliptical Geometry, as M. Couturat claims (p. 371). 8 The consideration of angles, in the examination of this question as in that of the question of absolute magnitude, will prompt doubts and hesitations. The angle between two planes passing through a straight line corresponds dually to the distance between two points on a straight line, and two planes which make an angle determine a line of intersection and a unique series of planes having the same line of intersection. But, in any geometry whatsoever, two planes which make with each other an angle of two right angles do not determine such a series. This special case, which arises in all kinds of spaces, has to be resolved, and can be with success, I believe, by an argument strictly analogous to the argument presented above for spherical space. It would seem, therefore, that exceptions to the axiom of the straight line, if we admit as possible a finite whole of space, have to be admitted as possible a priori. 9 But this necessity itself presupposes the necessity, which remains entirely without proof, of logical demonstration as such.